Ideal for SUVs and sports trucks, the Ventus ST RH06 delivers high speed driving performance in wet and dry conditions. This tyre is optimised to achieve high mileage for long life. Thanks to a V-shaped tread pattern design, the Ventus ST RH06 delivers excellent handling characteristics on both wet and dry roads. 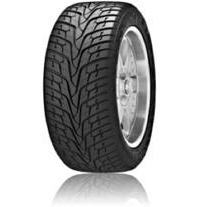 This tyre delivers a comfortable drive due to Dual Depth Pitch Theory which minimises tyre noises. The Ventus ST RH06 also achieves maximum steering response due to its high bead filler which enables stability at high speed.